It can be disheartening when you have crooked teeth. It can keep you from wanting to smile for family photos, or you may want to avoid giving that big presentation at work. You want a straighter smile, but you definitely know you don’t want a mouth full of metal braces. 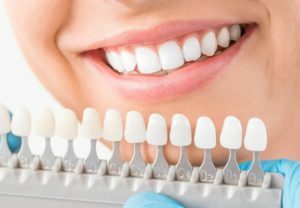 If you’re looking for a solution, you may be surprised to learn that porcelain veneers in Hackettstown can give you the smile you want and deserve. Find out how. Are you asking yourself “where can I find a dentist near me?” Now is the perfect time to explore this question. February is Gum Disease Awareness Month across the United States. A good way to observe the occasion by knowing a little bit about the stages of gum disease and the treatment options that are available. How Much Does It Cost to for Invisalign in Hackettstown? 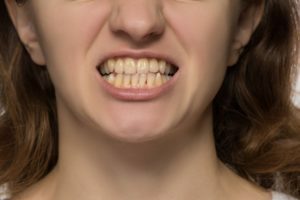 Does the appearance of your teeth leave you feeling less confident and reluctant to smile? If so, then you don’t have to settle for your current condition. Better yet, you don’t have to be subjected to wearing cumbersome metal braces. With Invisalign in Hackettstown, you can have the smile of your dreams, but how much does the procedure cost? 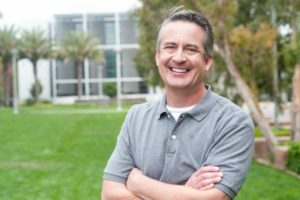 A local cosmetic dentist explains how to get an accurate quote. 8 Steps to a New Smile with Invisalign in Hackettstown! Have you been living with smile flaws for years and desire to make lasting changes? If so, Invisalign in Hackettstown provides the perfect avenue to make that happen. Before you commit to this form of treatment, though, you’d like a detailed explanation of how the process works. Your cosmetic dentist provides the answers you need by listing the 8 steps of the Invisalign process! If you have been thinking about straightening your teeth for a while, don’t put off the treatment any longer! 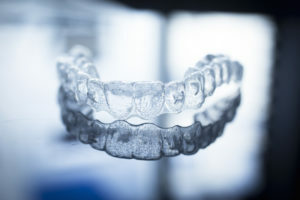 Invisalign in Hackettstown offers a subtle treatment option for patients who are interested in improving the alignment of their bites but do not wish to wear visible metal braces for a year or more. Keep reading to learn why this orthodontic treatment method has been booming in popularity over the past decade and whether or not it could be right for you! 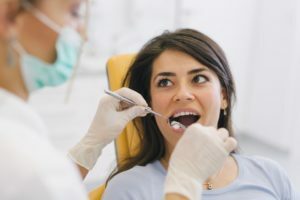 How Can I Take Care of My Dental Crown in Hackettstown? Have you recently had a dental crown placed? Receiving a crown from your dentist not only makes your teeth look better, but it protects them from more serious dental issues. Although crowns are built to last, you can damage your crown which will lead to more serious and complicated dental issues. Keep reading to learn how to take the best care of your dental crown in Hackettstown so you can benefit from it for years to come. 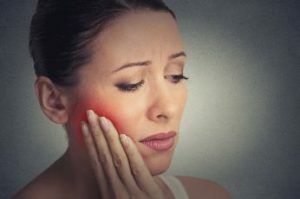 A dental crown in Hackettstown is an effective treatment option for many types of tooth-related conditions, including damaged, diseased, and severely stained teeth. A crown avoids the limitations imposed by extractions and filling. Not only can it enhance your appearance, it can free you from pain and enable you to enjoy a healthy, well-rounded diet. 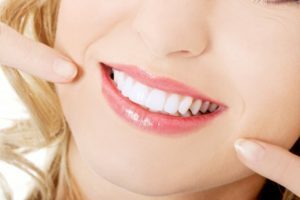 Restore Your Smile with a Dental Crown in Hackettstown! What is royalty without a crown? An uncrowned monarch is subject to a host of problems and attacks. The same applies to your teeth. As you read on, you’ll learn how a decayed, cracked or broken tooth can be restored with a dental crown in Hackettstown. Furthermore, you’ll be introduced to the amazing new technology that your local dentist uses to make the process much easier. Lots of kids are afraid of the dentist. They might have heard horror stories about dental care, or maybe they saw something on TV that made them hope they’d never have to settle into that big chair again. Regardless of the reason behind your child’s dental fear, it’s important that you help them overcome it. When kids are out of school and the laidback days of summer arrive, it’s a great time to focus on changing your little one’s view of dentistry. Here are a few tips from your children’s dentist in Hackettstown to help you accomplish this. There’s No Reason To Fear Getting a Root Canal in Hackettstown! Did you know that root canals date all the way back to the 1600’s? The tools and methods used at that time were quite rudimentary and local anesthesia wasn’t an option the way it is today. Unfortunately, that lead to the terrible reputation that root canals have as an incredibly painful procedure. Thankfully, modern root canals are an entirely different ballgame! In honor of Root Canal Awareness Week, this blog will set the story straight about this procedure once and for all. You’ll learn about how root canals not only save teeth but are no more uncomfortable than getting a dental filling. So, if you feel anxious about getting a root canal in Hackettstown, keep reading to find out why there’s nothing to fear!